Designed by a massage specialist, our Jemma Co Mix & Match treatments are tailored to treat each individual and their specific needs. We can help aid relaxation, improve health and digestive problems and ease general aches and pains. Each mix and match treatment will be bespoke to you and can include all or some of the following; hot stones, warm bamboo, chakra balance, sound balance and hand, feet or face acupressure points. All our massage balms are homemade using organic ingredients and use 100% pure essential oils. 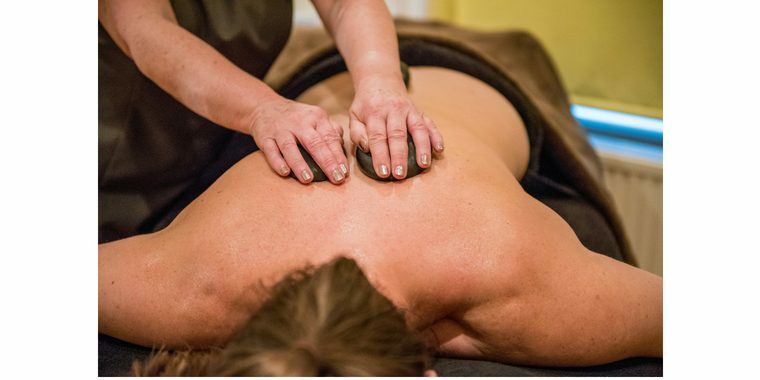 Our deep tissue massage will focus on the deeper layers of the muscle tension. It aims to release aches and pains by using firm pressure massage movements, leaving you feeling energised and refreshed. Perfect for those who prefer a firm massage. A full body massage with your choice of either hot stones, warm bamboo or heated pads, or a mixture of all 3! Heat is a great healer for sore, tired muscles. This massage is designed to leave you completely warmed and relaxed. Using specific techniques and massage points, this massage will work on the whole body focusing on the stomach to ease digestive issues and pains. A beautiful treatment that many Mums-to-be have recommenced. Working on the hips, back, neck, shoulders and finishing off with feet acupressure massage this will leave you feeling utterly pampered! This full body massage is performed on warm water cushions allowing your muscles and body to completely relax. The whole treatment is performed face up giving you the sensation of floating and enhances your relaxation and well being.